Karo Resources, a company linked to mining entrepreneur Loucas Pouroulis, will spend $4.2 billion on a Zimbabwean platinum project in the first big investment since President Robert Mugabe's ousting in November. The government has escalated its commitment to open business with President Emmerson Mnangagwa stating that relevant ministries should have a culture change in handling investors' affairs. The deal is the largest to date in Zimbabwe's mining industry, Mines Minister Winston Chitando said. President Emmerson Mnangagwa has declared the "country open for business" as he seeks to revive the economy and attract investment. "It is not business as usual anymore," the president told reporters on Thursday. "Things have to change." President Mnangagwa noted that Zimbabwe had to wait for at least half a decade to conclude this agreement having started negotiations in 2012. 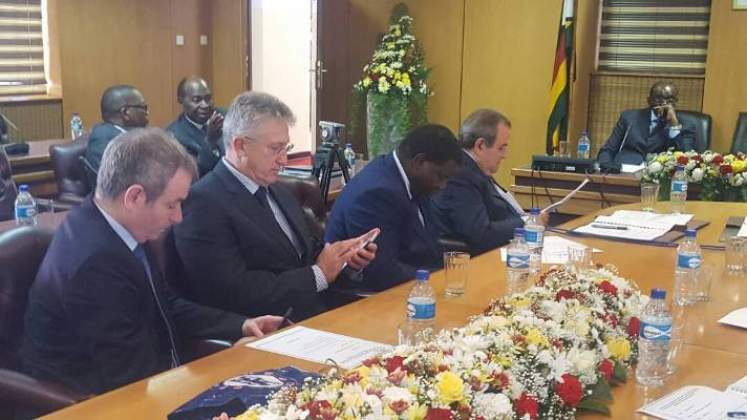 "Had this agreement been concluded then the current foreign currency shortages could have been averted," said President Mnangagwa. Karo's platinum project will start up in 2020 and produce 1.4 million ounces a year of platinum-group metals at full output, potentially making it the country's top producer by 2023, Chitando said. Zimbabwe has the second-biggest reserves of the metals after South Africa. The project will also include a 600 megawatt power plant and coal-mining operations to feed it. Pouroulis has a long history in southern African mining. He set up South African platinum-mining ventures Lefkochrysos, which means ‘white gold' in Greek, and Eland Platinum. Eland was sold to Xstrata Plc in 2007 for the equivalent of $1.1 billion. His son Phoevos met Mnangagwa in the president's office in January.